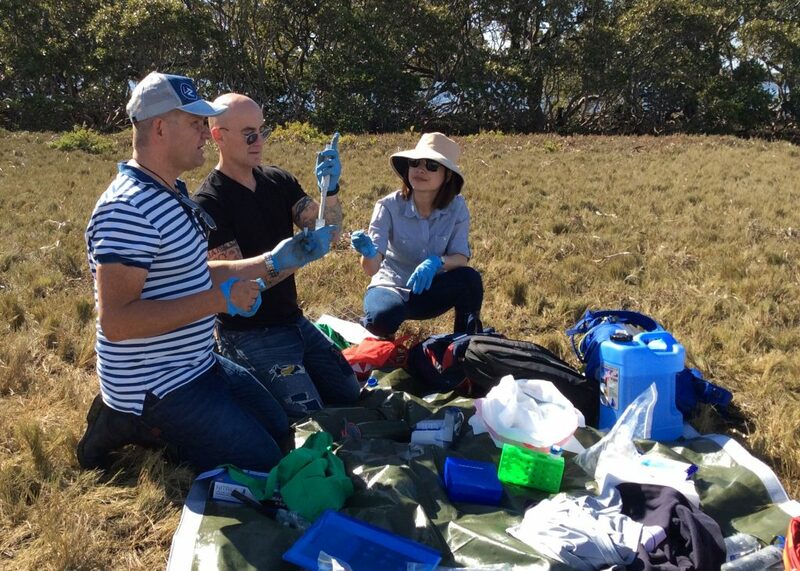 Another amazing citizen science day at Towra Point. The day kicked-off with HSBC employees taking part of a questionnaire research led by Dr. Emma Mckinley [Cardiff University, UK]. 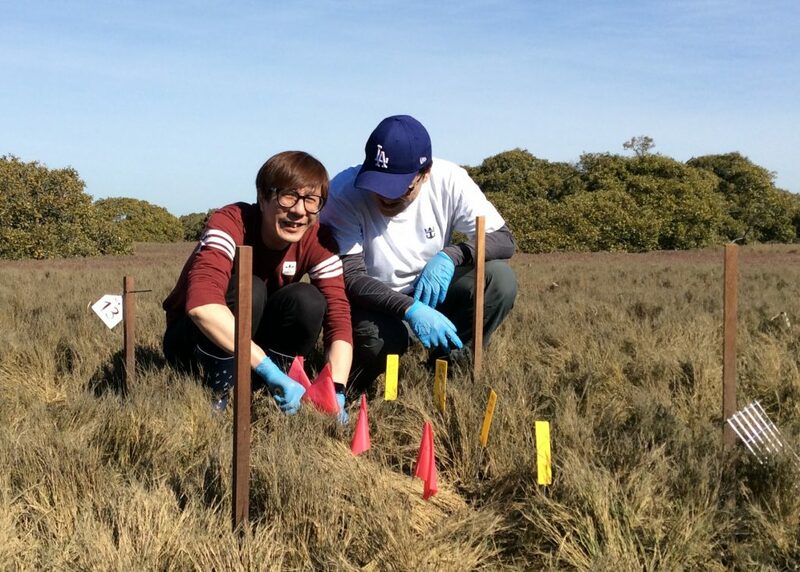 Through a series of short surveys, she is testing whether immersive experiences can change attitudes towards “uncharismatic” wetlands. 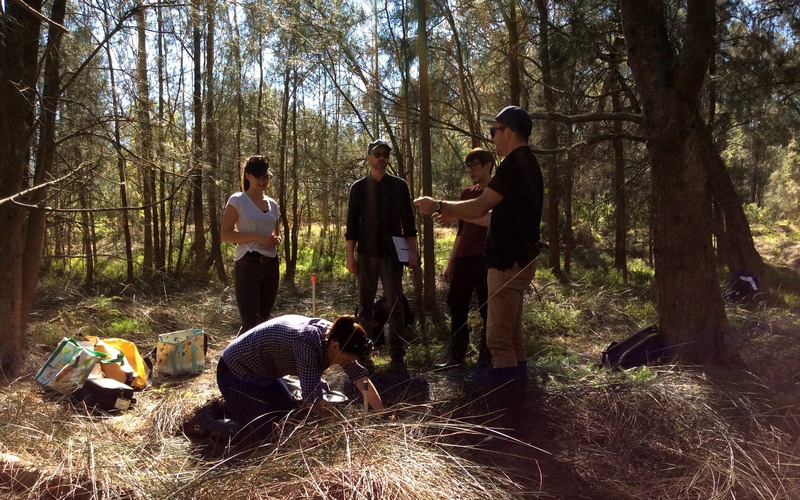 Upon arrival to Towra Point Nature reserve, participants helped Dr. Jeff Kelleway [Macquarie University] take biomass measurements of the Casuarina forest that surrounds the wetland. Jeff will use this data to check if native forests are trapping marine carbon and should be included in Blue Carbon Budgets. 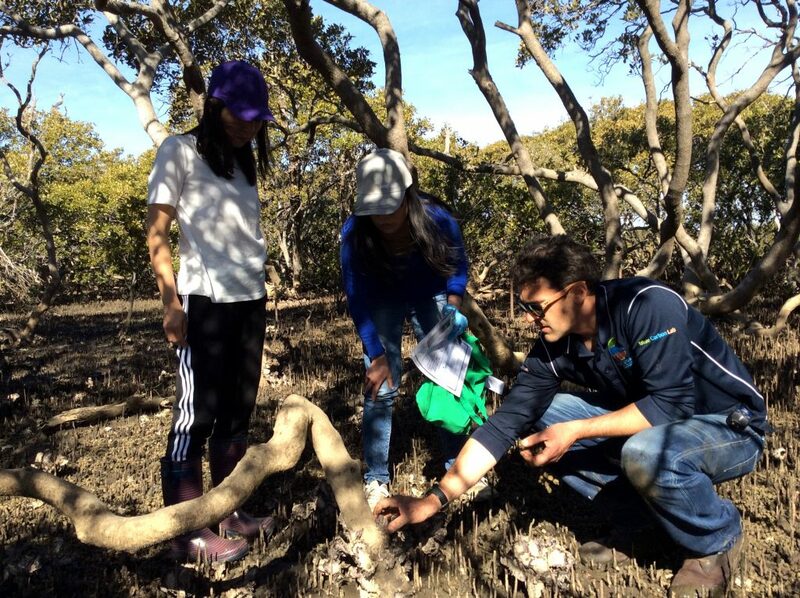 We then headed to the saltmarsh and mangroves, where the Citizen Scientists split into pairs and visited 30 experimental plots. On each plot they used syringes to collect soil cores & microbial samples and small quadrats to survey plant cover & composition. 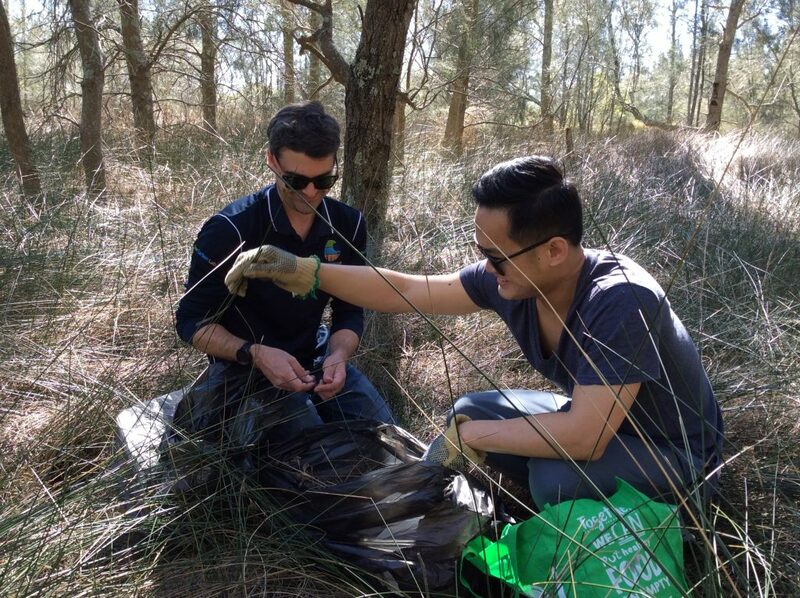 Participants additionally had time to dig and recover 60 tea bags from wetland mud! These had been planted by Citizen Scientists in June as part of the methodology behind TeaComposition H20; a global initiative using tea bags to measure the ability of wetland soil to decompose organic carbon. Citizen Scientists greatly enjoyed getting their hands dirty and competing to find the hidden tea treasures!